The hardest part about painting someone’s portrait is not trying to attain a perfect likeness of the sitter – it’s knowing when to stop adding more paint. It turns out that The Modus Torn broached the same issue, albeit with sound, not something squeezed out of a tube. Suddenly has an entirely ill-fitting title – slowly uncoiling mumbled sounds from a different time, a different place. There’s something half-finished or half-missing about this track, and this vagueness is not a flaw – it’s actually the song’s greatest strength. An almost out-of-sync guitar line, and lyrics that may or may not be there at all, seep gently into one another. It’s a song that teeters precipitously on the edge of uselessness, but doesn’t fall. The Modus Torn stopped at exactly the right moment. It might have been a mistake, it might have been deliberate. But it worked. NB: There are no pictures of The Modus Torn anywhere. 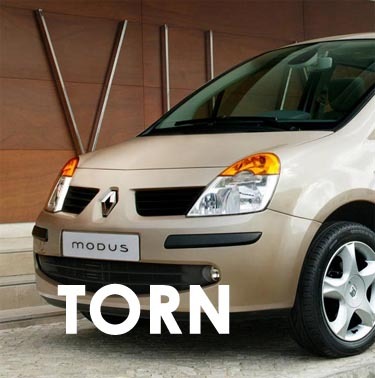 Above is a picture of the Renault Modus. Close enough. Posted on August 22, 2011 by Joe Sparrow. This entry was posted in Headline, Today's New Band. Bookmark the permalink.